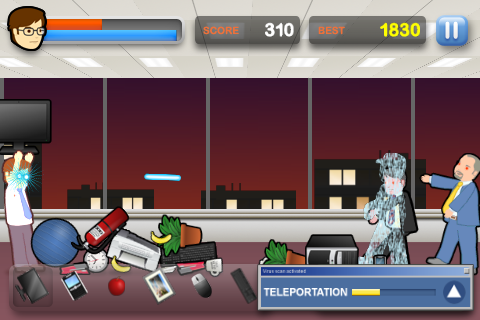 Mu and Heyo Presskit - Office Chaos! 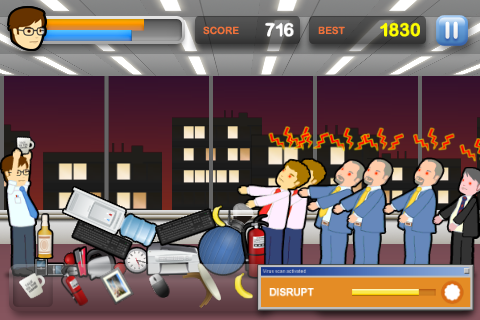 In Office Chaos players must fend off crazed coworkers by hurling office equipment at them. 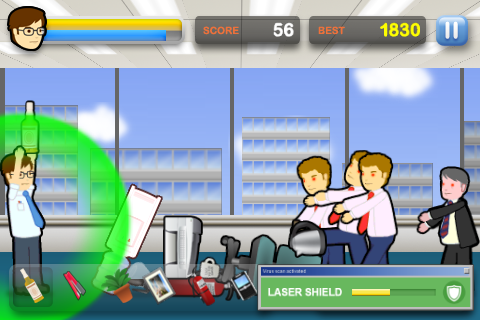 To complicate matters the coworkers have developed the ability to shoot lasers from their eyes. 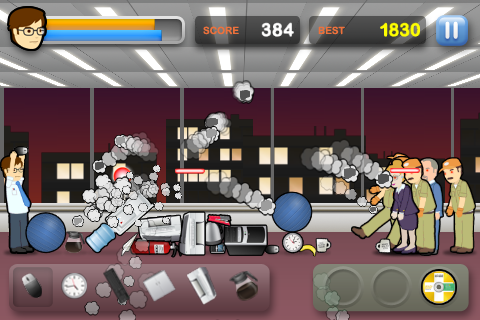 To throw, players flick their finger across the screen in the direction they want the object to travel. The speed of the players's flick determines the power of the throw. They can also duck by flicking downwards. 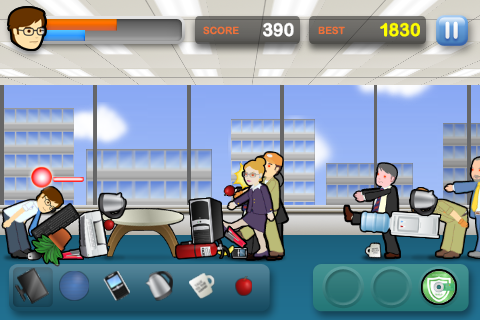 Players can collect anti-virus software to gain special abilities and boost their health. 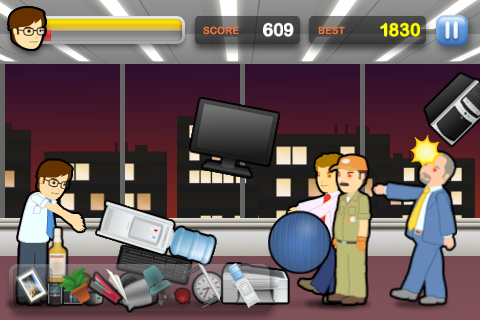 Office Chaos was the first project Ian and Jon made together and was released at the beginning of 2011. In April 2011 it went free for a week and was downloaded over half a million times. It became the number 3 free app in Australian and the number 1 free app in Hong Kong. Story and Survival game modes. 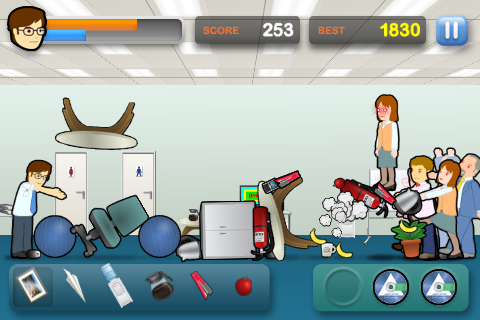 2D physics environment with multiple object types. 6 distinct enemy types, all with their own special abilities.